Until now – when internet retailer turned media giant Amazon has acquired the rights to produce a vast, multi-season television series, and invested 1 billion dollars into bringing it to life. The Next Big Series is Here Thanks to Amazon! When Peter Jackson’s Lord of the Rings film trilogy concluded in 2003, everyone seemed to agree that it was a masterpiece. The fans loved it, the box office overflowed, even the critics approved. The final part in the trilogy – The Return of the King – swept the Academy Awards with a record-setting 11 Oscars, bringing the total for the trilogy to 17 (also a record). For the last 15 years the trilogy has stood as the definitive interpretation of J.R.R. Tolkien’s magnus opus. It seems fitting – a company that started out selling books has been tasked with bringing one of the greatest works of fiction in human history to life in the biggest (and most expensive) tv series ever attempted. Amazon has grown into an empire with the resources to make this attempt, and fans around the world are excited, anxious, and most of all curious at what this new series will be like. After all, Peter Jackson’s trilogy was immersive, ambitious, and epic on an almost unimaginable scale for its time. What will this new series bring to the table? 1. It won’t be here for a while – production is slated to begin at some point in the next two years, so we probably won’t get to watch it until sometime after 2020. 3. Some of the original cast might reprise their roles – Sir Ian McKellen has expressed interest in continuing to play Gandalf, something that fans would certainly love! Depending on interest from actors and “legal issues,” we could potentially see a number of original actors back for this project (although it has been over a decade since they suited up in Middle Earth). 4. The series is currently optioned to run for five seasons – so far, and there is already talk of a spin-off. Will it go longer? Will we get that most unlikely of outcomes and see a full screen adaptation of The Silmarillion, Tolkien’s “Old Testament”? So, what is it going to be about, then? Unfortunately – tantalizingly – all we have at this point is a few facts surrounded by rumors. But even the details that we know of are filled with rich possibility. 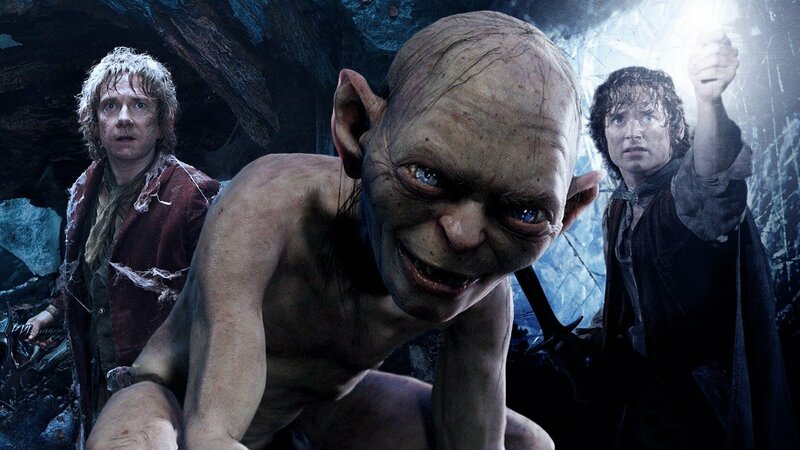 A series taking place between The Hobbit and The Lord of the Rings is not just an intermission – it covers a period of Middle-Earth history in which many important events occur. At Darksword Armory, the prevailing theory is that the series will focus on the character of Aragorn, also known as the Dúnedan Ranger Strider. Due to his Numenorean heritage Aragorn is blessed with long life; at the start of The Fellowship of the Ring (The first volume of The Lord of the Rings) Aragorn is 86 years old – which means at the end of The Hobbit he is only 10. That is a lifetime of adventure for the series to explore, and trust us – Aragorn did NOT spend it idle. Aragorn’s father, the rightful heir of Gondor, was killed when he was a child, and Aragorn was fostered by Elrond, Lord of Rivendell, until he came of age. Ten years after The Hobbit ends Aragorn reaches this milestone and is told of his true heritage, which starts him on his hero’s journey. Despite the fact that he also met and fell in love with Elrond’s daughter Arwen, Aragorn chose to leave the safety of Rivendell and go lead the remnant of his people, the Dúnedain, in the wilderness. During this time he met and became friends with Gandalf the Grey, served as silent guardian of the Shire (in which Bilbo Baggins kept the One Ring, unawares, for decades), fought with the army of King Thengel of Rohan, father of King Thingol (who appeared in the Lord of the Rings film series), and has countless adventures all across Middle Earth. If the series chooses to cover the life of Aragorn, it would have some amazing material to work with. Of course, it’s always possible that it will just be a five-year series about Bilbo’s lazy Shire days, garden parties, and hijinks avoiding his distant relations… but somehow, we doubt that. So what does this mean for fans – and (more importantly for Darksword Armory!) what does it mean for sword collectors? 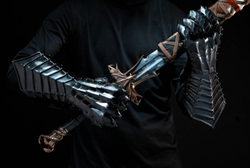 We can expect that the series will have a similar effect on the sword industry as did the original trilogy, Game of Thrones, and other fantasy media – that is, it will almost certainly inspire a new generation of sword collectors. 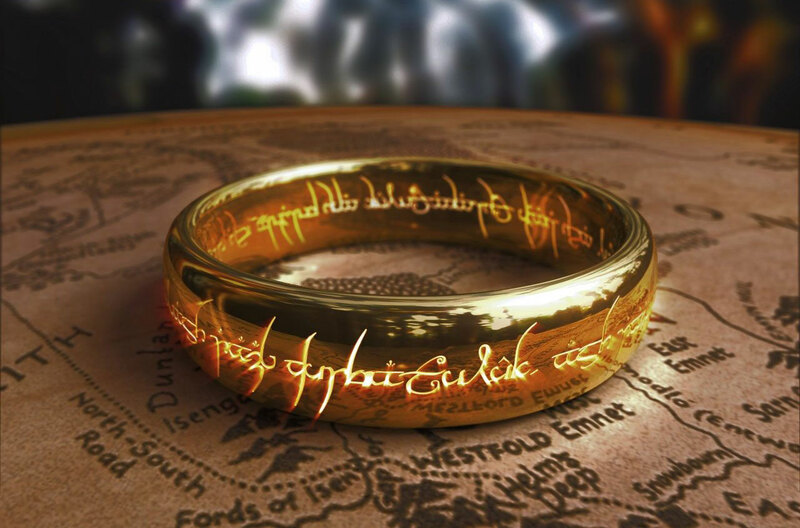 Many people who viewed the Lord of the Rings turned to the internet to scratch their newfound sword itch – why should the Lord of the Rings tv series be any different? The Sword of Feanor – inspired by the Silmarillion, Feanor was the most powerful elf who ever lived and the first to create weapons for the elves. The Tolkien swords we have made have been among the most popular in our selection – and should more swords be inspired by this new series, we hope they will be a hit with all sword collectors out there.